On the London Fenchurch Street railway line out to Essex there was a building that resembled a mill of some sort, alongside a canal. On the wall of this mill was scrawled, “West Ham United – World Cup winners 1966”. It may still be there today, but it’s doubtful given the amount of building and demolition that’s taken place in East London down the years. This short statement was the calling card of a club that provided almost a third of England’s most successful football team. The holy trinity of Moore – Hurst – Peters was as important to West Ham as the Best – Charlton – Law triumvirate was to Manchester United. In the mid-1960s, if you wanted to watch good football, Upton Park was the place to go. And for a while, good football became successful soccer. West Ham had in their ranks the England captain and the two men who scored the four goals that won the World Cup. The fact that they kept this trio together until 1970 says a lot about the club and what it meant to players. Managed by Ron Greenwood, a football purist heavily influenced by the Mighty Magyars of Hungary, West Ham’s approach wasn’t always frtuitful, but it delighted the neutral. West Ham returned to the first division in 1958 as second division champions, but didn’t make much of an impact on the top flight. That said, they did start to build a culture of highly educated football with many of their players meeting “after hours” to discuss tactics and formations, using salt and pepper pots in a local café to illustrate their ideas. It was no coincidence that many West Ham players, like Dave Sexton, Noel Cantwell, Malcolm Allison and John Bond, went on to have successful managerial and coaching careers. Ted Fenton, the manager who took them up, left the club in mysterious circumstances in March 1961 and Ron Greenwood was appointed as his successor. Greenwood moved from Arsenal, where he had been assistant manager to George Swindin. In his first season in charge, 1961-62, Greenwood took the Hammers to eighth place. The following campaign was disappointing and West Ham dropped to below mid-table, despite the club signing Johnny Byrne from Crystal Palace for a record transfer fee of £ 65,000. But in 1962-63, West Ham’s team started to take shape, with the introduction of Martin Peters, who Greenwood described as “virtually the complete player”. In 1962, Bobby Moore made his England debut to begin a long and distinguished career with the national team. West Ham were starting to acquire a reputation for being the great entertainers. In 1963-64, West Ham still laboured in the league. They started the season well, including a 2-1 win at champions-elect Liverpool, but a poor spell in mid-season, including a 2-8 home defeat at the hands of Blackburn, sent them tumbling down the table. On their day, they could beat the best – they actually completed the double over Liverpool – including wins against European Cup Winners Cup winners Tottenham (4-0), FA Cup holders Manchester United (1-0) and reigning champions Everton (4-2). Equally, they were frequently a “soft touch” for the ultra-professional sides emerging at the time. The FA Cup was the competition that kept the season bubbling along and the Hammers beat London neighbours Charlton and Leyton Orient in round three and four. Swindon and Burnley were disposed of next, setting up a semi-final at a muddy Hillsborough with Manchester United. Two goals from Ronnie Boyce and one from Geoff Hurst surprisingly beat United 3-1 to send West Ham to Wembley. West Ham would meet second division Preston North End in the final. 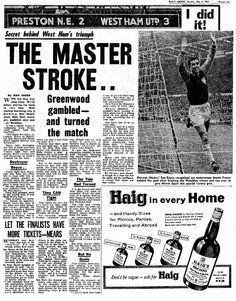 Greenwood’s men were clearly favourites but they made hard work of overcoming a team that included then the youngest player to appear in a FA Cup final in Howard Kendall. They had youngsters of their own, however, including Boyce and 17 year-old John Sissons, who had featured in the Hammers’ successful 1963 FA Youth Cup winning side. Preston twice took the lead, but Sissons and Hurst levelled each time. West Ham didn’t play well, in fact Bobby Moore commented that the Hammers’ team felt let-down because they failed to produce their best football. Boyce won the day, however, scoring in the closing seconds after veteran Peter Brabrook had floated the ball invitingly into the penalty area. “I’m forever blowing bubbles,” was heard at Wembley for the first time. West Ham fans revelled in the club’s first piece of silverware. 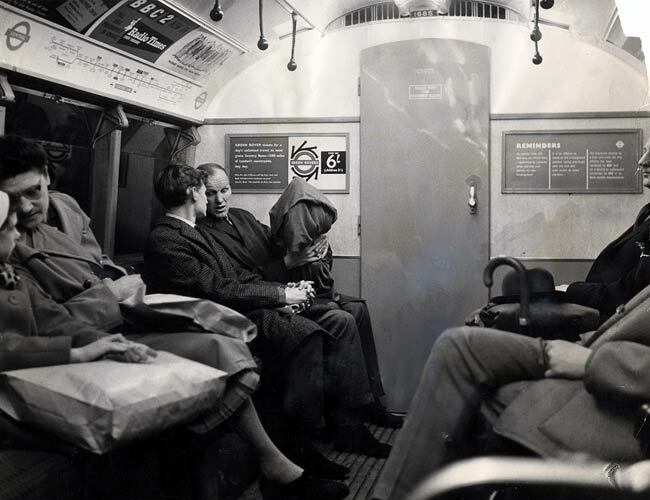 It was “light and bitter” and jellied eels all round, to the tune of “Knees up mother Brown” in the old East End – not to mention that giant wooden hammer that accompanied the players as they embarked on their lap of honour around Wembley. What was interesting about that 1963-64 side was that only three players, goalkeeper Jim Standen (Luton Town), winger Brabrook (Chelsea) and Byrne (Palace) had come from other clubs. Bond, Jack Burkett, Eddie Bovington, Ken Brown, Moore, Boyce, Hurst and Sissons were all home grown. They were also all English. 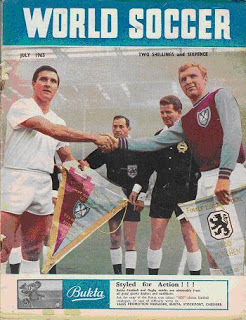 West Ham were back again in 1965 in the European Cup Winners Cup final. The Hammers enjoyed Europe and midweek games against foreign opposition, under the Upton Park lights, were always special. Greenwood, a student of continental football, relished the opportunity to pit his wits against overseas coaches. The first round of the competition paired West Ham with La Gantoise of Belgium. Boyce was the match winner in Ghent as the Hammers clinched the first leg 1-0, going through eventually by 2-1 on aggregate. Sparta Prague were beaten in round two 3-2 on aggregate, a 2-0 home win and 1-2 away defeat. The came Lausanne (6-4 on aggregate) and Real Zaragoza in the semi-final. Brian Dear and Byrne gave the Hammers a 2-1 win in the first leg against the Spanish side and Sissons netted in a 1-1 draw in Spain to send West Ham through to the final, where they would meet TSV Munich 1860. The West Ham side had changed little. In at full back was Joe Kirkup, another product of the club’s successful youth set-up, strikers Alan Sealey, formerly of Leyton Orient, and youth graduate Brian “Stag” Dear, were also included in the final. Martin Peters also came into the team. Moore, Hurst and Peters experienced their country’s greatest sporting moment when they were all in the 1966 World Cup final side. 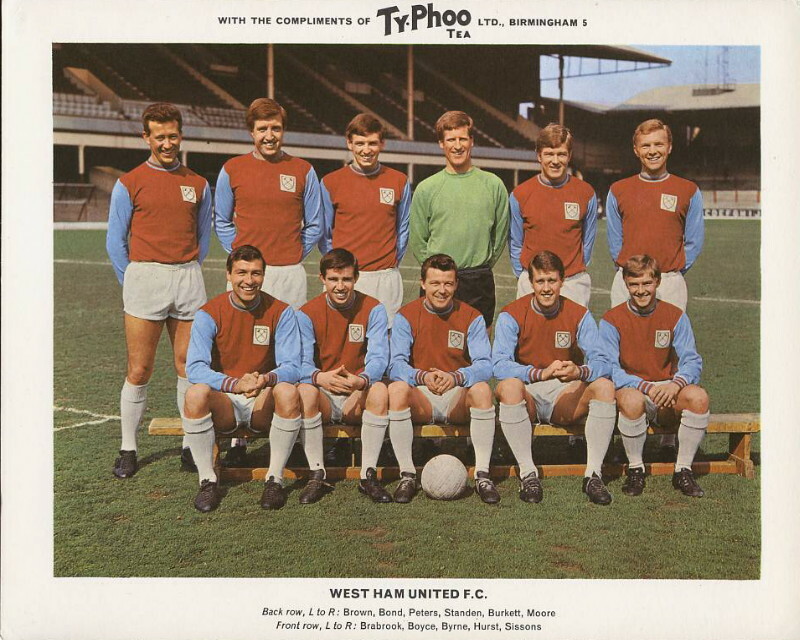 But in 1965-66 West Ham finished 12th and remained a team for cup competitions. They almost got through to a second successive European Cup Winners Cup final but lost to Borussia Dortmund in the semi-finals. And they reached the last two-legged Football League Cup semi-final, losing to West Bromwich Albion 3-5 on aggregate, after winning the first leg at Upton Park by 2-1. They were highly respected and much-loved around the country for their style of football. The Moore – Hurst – Peters partnership broke up in 1970 when Peters left for Tottenham. Hurst went to Stoke in 1972 and Moore departed in 1974 for Fulham. Their names are synonymous with a glorious chapter for both West Ham and England. Well, didn’t “yer actual ‘ammers” win the World Cup?